The following notes were taken from the Open Source Dev meeting on Monday 22nd September 22nd, and the Simulator User Group meeting on Tuesday 23rd September. There will be no scheduled deployment to the Main (SLS) channel this week. On Wednesday 24th September, all three RC channel should receive a further update to the Experience Tool maintenance release deployed in week 38, which includes a fix for an issue with llGetExperienceDetails(). The most recent Maintenance release viewer, version 3.7.16.294015, was promoted to the de facto release viewer on Monday 22nd September. This viewer includes fixes for inventory and outfit management; appearance editing; group & group ban management; camera controls; multi-grid support for favourites; notifications management; stability, bug and crash fixes – see the release notes for further information. On Friday September 19th, the New Log-in Screen RC viewer reached release candidate status when 3.7.16.294345 arrvied in the release channel. This viewer brings a simple and clean login screen for new users, and a corresponding update for returning users. (download and release notes, my overview). An ongoing project at the Lab is to remove the need for the GPU table within the viewer. This is currently used to set the default graphics level for a user’s graphics card, and requires constant checking and update as new GPUs and cards are produced. Recent work has seen the GPU table massively updated, with the Lab working towards an alternative strategy of determining the capabilities of a graphics system. This is primarily done by measuring the memory bandwidth of a card and setting the default based on that (plus a couple of other parameters. A viewer utilising this approach is currently with LL’s QA team and should be making an appearance soon. This strategy has already shown sufficient promise that new GPUs are no longer being added to the GPU table in preparation for it to be phased out. 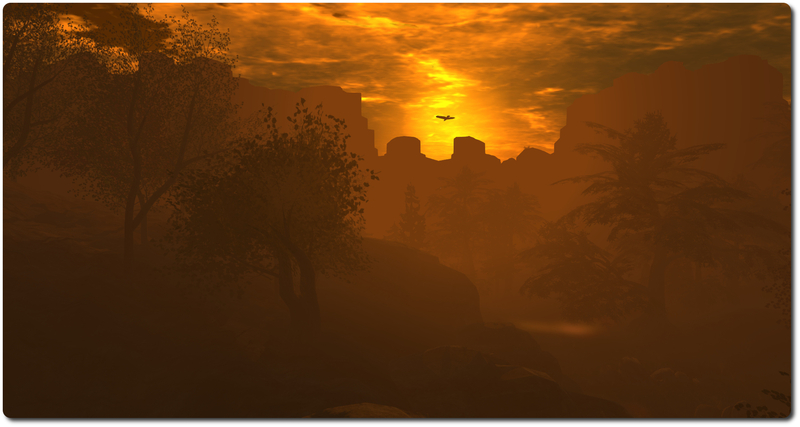 A recent update to Apple’s iCloud service aimed at users of windows system using the service has had an unexpected impact on various aspects of the SL including killing mesh uploads, snapshots (saving to inventory fails with “Error encoding snapshot”) and textures (upload fail with “Couldn’t convert the image to jpeg2000”), and UI elements can turn completely black. Full details of the issue can be found on BUG-7343, and the problems have been particularly noted in both the official viewer and Firestorm, and Catznip. investigations are underway by both the Lab and the Firestorm team, and one line of thinking is that it might be some DLL injection poisoning issue. The iCloud update, which was apparently deployed over the weekend of the 20th /21st September has, at the time of writing, yet to be deployed for Mac systems. There is some speculation that it may not result in similar issues for Mac users due to the way iCloud is implemented for each OS. One potential work-around is to roll-back to an earlier version of the service’s client, making sure that any auto-update option is disabled. We’re probably all aware how changing group tags can often be a cure-all for a number of problems, even when logically it should be the case. One possible explanation as to why this is the case is that changing your group tag may trigger a full update of your avatar. However, possibly as a result of interest list changes, there is now one situation where changing your group tag is not a good idea – and that is when a scene is still loading, as doing so can cause the scene load to fail, and the only means of resuming it is to relog – see BUG-6299. So, if you arrive in a location that sends you a request to join a group you’d like to join, wait a couple of minutes in order to give the scene the chance to fully load before you do so. This issue is known to the Lab, but a fix has yet to be determined. This is an issue that is getting a little long in the tooth – see BUG-1786 – which sees llSetLinkAlpha failing to correctly update a percentage of prims when a large(ish) number are updated simultaneously. Weapons users are liable to be familiar with this, as it can occur in “holstering” or “slinging” a weapon which should cause the “held” version of the weapon to turn transparent and the “slung” / “holstered” version rendered, but often results in elements of the “held” version of the weapon remaining visible. This issue appears to be related to UDP packets being lost between the server and the viewer, with Simon Linden commenting, “I remember digging into this and it seemed like lost packets. It’s really hard to predict when they’ll get lost, but it seems it’s not slowing down updates quite right when there’s a sudden flood.” He promised to pass the issue with LL’s product team, but wasn’t optimistic it might move higher up the “fix” chain due to the current volume of work. 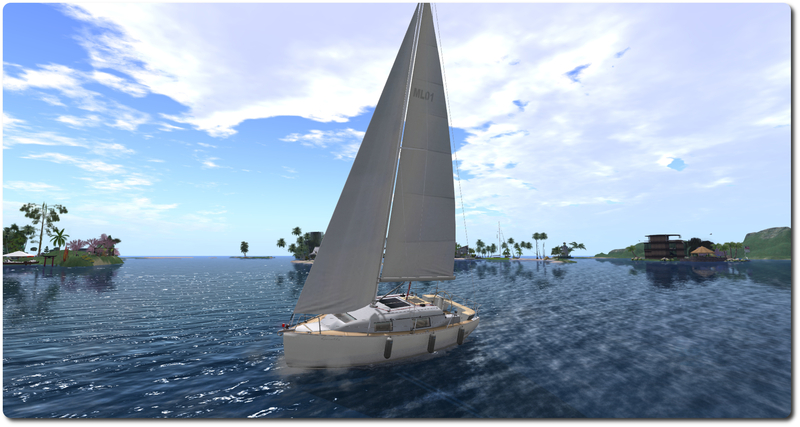 I entered the world of casual SL sailing via the Premium Gift sailboat. I know, I know, there are better offerings around! Well, those of you who have been nudging me to “upgrade” to something more will likely be likely be pleased to read that I have 🙂 . September saw me hopping around looking at various boats and options, as I wasn’t sure what I wanted. 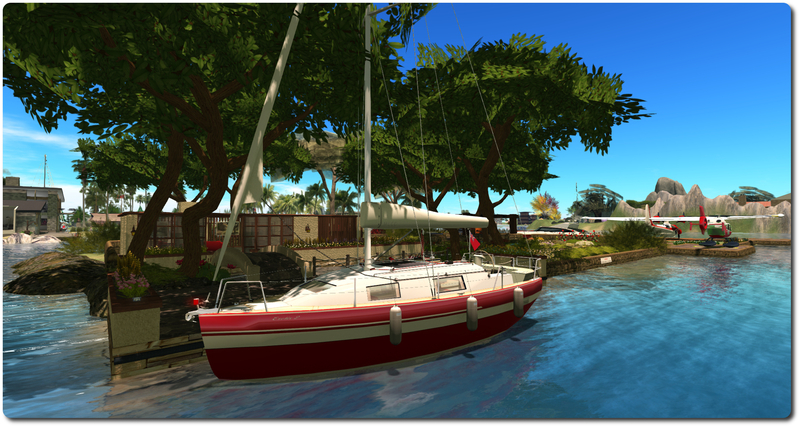 I did know I didn’t want a racing yacht or racing sail boat; not that I have anything against racing, I just wanted something that offered comfort and a degree of style to sailing around SL. Two boats went fairly immediately to the top of my list, the MLCC Oceanic, and the MLCC Loonetta 31, both of which are created by Motor Loon, who has a well-deserved good reputation for his custom bikes and other vehicles (he’s also a regular at SL User Group meetings, which are where I first met him). The Oceanic is the older of the two designs, and is a sleek sailing cruiser, a little over 25 metres in length which features a very comfortable& furnished cabin – seriously, you have to see the boat for yourself to appreciate the level of detail. The Loonetta 31 is the more recent of the two builds and 100% mesh. Around 9.5 metres in length, it might be thought of as the Oceanic’s chubby little sister. Both come packed with features and capabilities, making them each very excellent value – I’m not going to spill the beans on everything included, as part of the pleasure with these boats is in the discovery. Suffice it to say check hatches and steps carefully 🙂 . Initially, I was swayed towards getting the Oceanic, but in the end opted for the Loonetta 31. This was for two reasons; firstly, Motor’s excellent video tutorial on customising it via a very smart scripted system and set of texture maps convinced me this would be something even I could manage, and secondly – and more directly – the Oceanic is a tad on the long side when manoeuvring alongside at the jetty in front of my house, and is too long to fit the dock alongside the house whereas the Loonetta 31 sits easily alongside either one. Which is not to say I’ve taken second best – far from it; the Loonetta 31 is an incredible little vessel, featuring a fully fitted cabin, like the Oceanic, and has plenty of room for friends to enjoy a trip out with you. As I siad, the customising system is quite awesome, and it is packed with some really nice touches. The boat is delivered unboxed and ready to go – simply move the folder from your Received Items to your inventory, then drag the boat into the water. The default colour is a white finish, but there are six more pre-set finishes you can pick from simply by clicking on the boat (not the wheel or the seats – you’ll end-up sitting! 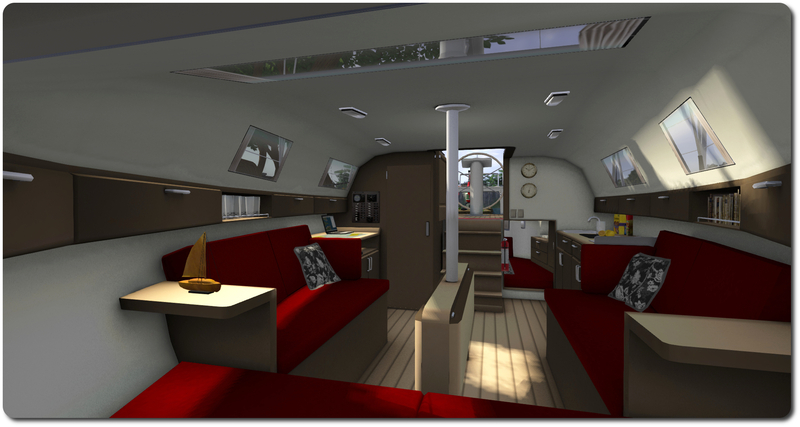 Top of the cabin is the best) then selecting SETUP from the displayed menu, and using the DESIGN + and DESIGN - buttons to page through the different finishes, which will render on the boat as they are selected. However, that’s not the end of the customisation options – you can select just about any part of the boat and change its colour / hue using the RGB buttons, you can change the degree of shine applied to various parts of the boat, both via the COLOR/SHINE button, and by following Motor’s very excellent video linked-to above, you can learn how to download the texture maps for the boat and use them to create your own texture finishes – which is pretty much what I did. The menu is also used to control other options as well – lower / raise the anchor or sails, set the spinnaker, adjust the camera position, deploy / hide the fenders for docking, sound the bell or horn, set the boat to a moored status, adjust each of the 40 poses individually, and more. For those who prefer, text commands can also be used with the boat. Customising the Loonetta 31 took me a couple of hours – a fair part of which was me trying to do a half-decent job with a graphics programme; I’m pretty sure that anyone with any reasonable graphics abilities could have done the same as I’ve achieved in half the time or less. Essentially, I used the hull map to create a red hull with a white stripe set on it, did the same with the stern plate, and re-coloured the cabin roof in a matching white. 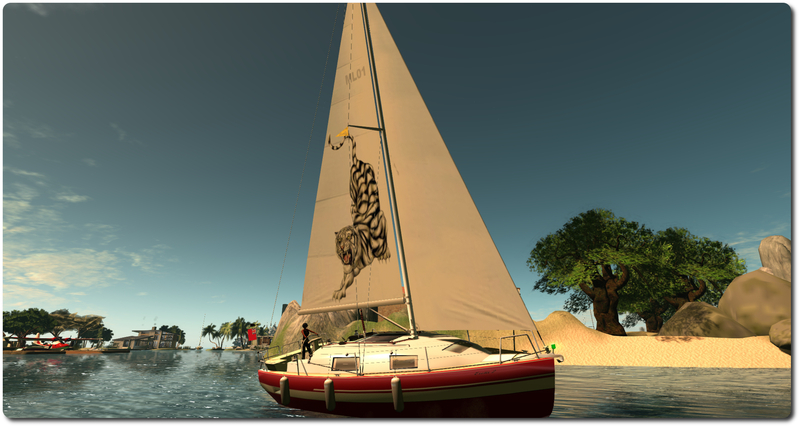 I also added a couple of graphics to the main sail and spinnaker, and created a custom name. I have to say I’m quite pleased with the results. A point to make here is that the Loonetta 31 and Oceanic are both No Modify, so if you’re going to be engaging in some extensive customisation and are concerned about upload costs, you might want to re-sync your Aditi beta grid inventory with a password change, wait 24 hours, and then work on your boat there; once you’re satisfied with the results, you can then upload your modified textures to the main grid and apply them to the boat. Sailing-wise, these boats are a real treat; Motor has spent a lot of time optimising them for sailing and region crossings. While it is still early days for me, a trip around the United Sailing Sims presented no problems with multiple region crossings under sail or motor. A nice touch is the smoothness of motion when turning; the boat turns gently and easily in a continuous motion, rather than the more step-by-step turns some vehicles exhibit (love the animation uses when turning the boat as well!). And if you don’t wish to leave the boat moored, you can pull out a stand from its contents and rest it safely on land. To say I’m pleased with the Loonetta 31 would be an understatement. It may not be the sleekest boat available (I can’t help but call it chubby!) nor the fastest, but it has won my affections. Motor has done a magnificent job with it, and despite my clunky flapping around with GIMP, I really enjoyed putting together a personalised look for it, one which keeps to my preferences for red-and-white :). 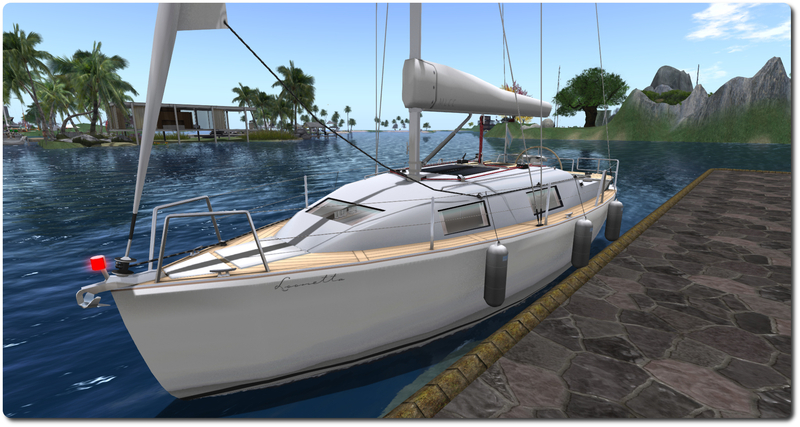 For anyone interested in seriously trying-out sailing in SL, I have no hesitation in recommending the Loonetta 31 or its big sister.